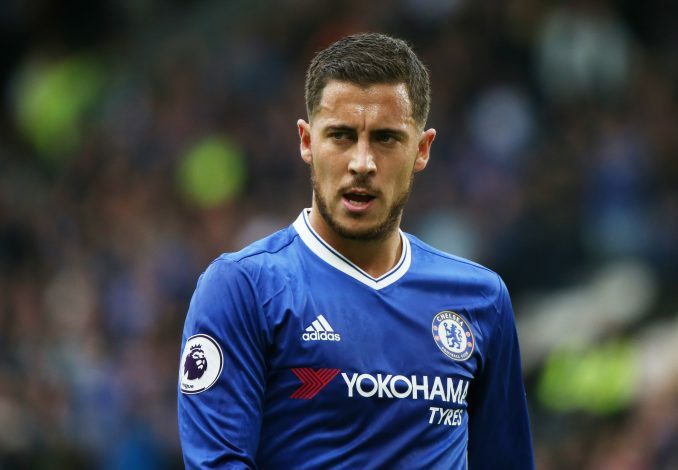 Eden Hazard is a man who is struggling this season, a man who is usually regarded as the most promising young and upcoming talent out there, and even being compared to the likes of Neymar and Gareth Bale a few times. He played a key role in Chelsea’s midfield during the 2014/15 season, in which he aided the title charge which saw Chelsea beat rivals Manchester City, Arsenal, and Manchester United to lift the Barclays Premier League trophy. It was a season in which Hazard managed win the PFA Players’ Player of the year – awarded to a player who is considered to have been the best player of the year in English football. The Belgian began his career at the age of four, playing in his home town, often described as a gifted player. He was eventually scouted by the French club Lille and joined their youth setup in 2005. He worked his way up to the senior squad and made his professional debut in 2007, his chance coming due to several first team injuries. Eden cemented a place in the senior squad in 2008, regularly making appearances as a substitute, and even inspiring Lille to a 3-2 win against Auxerre, when he smashed the ball into the net from outside the box while Lille were trailing 1-2; making Hazard the youngest goal-scorer in the club’s history. The Frenchman’s words sparked various transfer rumors lining Hazard to clubs like Manchester United, Chelsea and even Barcelona, but he was declared off limits by the then Lille chairman, Michel Seydoux. In the 2009-10 season, Hazard was nominated and eventually won the UNFP Ligue 1 Young Player of the Year award for the second successive season, being the first international player to achieve such an honor. Scoring 6 in 35 games was not so bad an achievement, considering Eden was usually deployed as a second half substitute. Over the 2010-11 season, he played a role in the Lille squad that managed to win the Ligue 1 and Cup double. His sensational performances earned him the UNFP Ligue 1 Player of the Year, which meant he was the youngest player to win the award – not bad for the 19 year old. He was also awarded the Bravo Award by Italian magazine Guerin Sportivo for his incredible performances. On the 4th of June 2012, Eden signed for the reigning UEFA Champion’s League winners Chelsea FC, with his transfer fee reported to be priced at just over £30 million. He confirmed this when he tweeted: “I’m signing for the Champions League winner,” also confirming that he would not be joining Manchester United, after previously being linked to the club. His first season at Chelsea started with a loss to Manchester City in the 2012 FA Community Shield. Hazard soon started displaying his talent after assisting a goal in his Premier League debut, and he went on to score 13 goals in over 60 matches for the club; aiding Chelsea to finish third in the League as well as win the UEFA Europa League title. His talents were soon commended by Chelsea midfielder Frank Lampard who stated: “I’ve said to him he has got absolutely everything. He’s only 22, he has the world at his feet and with the way he’s playing and the ability he has on the ball, and he is scaring the life out of people.” – Quite an assertive statement from the English man. Hazard’s second season with Chelsea started with a defeat to Bayern Munich in the UEFA Super Cup. But, his efforts during the season didn’t go unnoticed, as he was listed in the 23-man shortlist for players in contention to win the FIFA Ballon D’or – an award for the best men’s footballer of the year. Eden’s exquisite attacking displays earned him the PFA Young Player of the award, but, as Mourinho mentioned, there was plenty room for improvement for the youngster due to his lack of defensive capabilities. The 2014-15 Barclays Premier League season was a big one for Eden Hazard. Due to the departure of Juan Mata, who moved to Manchester United, Hazard’s playing position was adjusted to a proper number 10 role. His play-making skills, coupled with his pace and strong shooting abilities all combined nicely, helping the Chelsea squad, which eventually won the Premier League trophy with Hazard scoring 19 goals in his 52 appearances. Jose Mourinho claimed he was “one of the top three players in the world” due to his spectacular performances. He was voted the best player of the season by his peers, thereby wining the PFA Player of the year award. Eden Hazard had the world at his feet, winning many awards during his early career that showcased his immense talents. But, Hazard has been extremely disappointing this season, enduring over 2000 minutes without a goal. He has also been hindered by injuries. His performance dip is also affecting his team, which had the worst possible start to a Premier League season after almost touching the relegation zone and a string of defeats. Their poor performance also saw the departure of Jose Mourinho, leaving the club out of contention for qualification of the Champions league. Without Champions League next season, it will mean that Chelsea will have more resting time and a better chance to recoup. This may see Hazard regain his form in the early stages of the season. If Hazard manages to rediscover his form, it would mean that Chelsea will have a significantly stronger squad, and the Blues may have a more convincing title challenge next season, which is what we would expect after this disastrous season. Predictions are that Hazard will regain his form in the start of next year’s Premier League season and possibly lead Chelsea to the title, because they will most probably be out of Europe next season, meaning they will have less games to play. When do you think Eden Hazard will rediscover his form, this season or the next?